Irene Bailey Baker came to Congress as part of the widow’s mandate, succeeding a powerful and well–connected husband who died so suddenly that party leaders were caught unprepared to name a long–term successor. Mrs. Baker had long before established herself as a politician in her own right, serving as a Tennessee GOP national committeewoman and chairing the state’s Grass Roots Organization of Republican Women. An adept campaigner, she nevertheless ran on the reputation of her late husband, Tennessee Congressman Howard Baker, in a special election to fill his vacant seat. “I stand on Howard’s record,” Irene Baker declared, on her way to winning election to a 10–month term in which her chief goal was to provide continuity for her husband’s legislative agenda. Howard Baker was a lawyer who had served briefly in the Tennessee legislature before working as the attorney general for a judicial circuit that encompassed six counties in the northeastern part of the state. He also published the weekly Cumberland Chronicle in his hometown of Huntsville, Tennessee. In the 1930s, he became a powerful player in state GOP politics, working as a party official while establishing his own law firm in Huntsville. He was a delegate to the 1940 GOP convention and, in 1948 and 1952, was chairman of the Tennessee delegation at the Republican National Convention. Irene worked on her husband’s unsuccessful campaigns for governor in 1938 and for U.S. Senator in 1940. When Howard Baker won election to the U.S. House of Representatives in 1950 in an eastern Tennessee district which encompassed Knoxville, Irene worked in his Washington, D.C., office. Congressman Baker eventually became Tennessee’s leading GOP power broker and the number–two Republican on the powerful Ways and Means Committee. In his subsequent six re–election campaigns he never faced serious competition, either within his party or from Democrats.2 Since the founding of the Republican Party in 1856, Baker’s district had always voted Republican. As promised, Baker declined to run for the 89th Congress (1965–1967), returning to private life in Knoxville. She was succeeded by yet another family dynasty, headed by the former mayor of Knoxville, John James Duncan. Duncan served from 1965 until his death in June 1988; he was succeeded by his son, John J. Duncan, Jr. Irene Baker served as Knoxville’s director of public welfare from 1965 to 1971. Her stepson, Howard H. Baker, Jr., continued the family political tradition by winning election in 1966 as a U.S. Senator from Tennessee. He served from 1967 to 1985, becoming Senate Majority Leader in 1981. Irene Baker died in Loudon, Tennessee, on April 2, 1994. 1Hope Chamberlin, A Minority of Members: Women in the U.S. Congress (New York: Praeger, 1973): 308. 3David Walker, “Rep. Baker Dies of Heart Attack,” 8 January 1964, Washington Post: D4. 4“Howard H. Baker, Representative: Tennessee Republican Dies–Supporter of T.V.A.,” 8 January 1964, New York Times: 37. 5“Tennessee Area to Vote Tuesday: Rep. Baker’s Widow Running for House in 2nd District,” 8 March 1964, New York Times: 72. 6Michael J. Dubin et al., United States Congressional Elections, 1788–1997 (Jefferson, NC: McFarland and Company, Publishing, Inc., 1998): 638. 7Susan Tolchin, Women in Congress (Washington, D.C.: Government Printing Office, 1976): 5. Papers: In the Howard and Irene Baker Papers, 1933-1965, 49.5 feet (approximately 60,000 items). Congressional papers, as she completed the term of her deceased husband, Howard H. Baker. A finding aid is available in the repository and online. 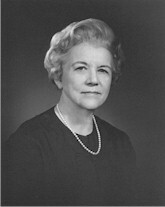 "Irene Bailey Baker" in Women in Congress, 1917-2006. Prepared under the direction of the Committee on House Administration by the Office of History & Preservation, U.S. House of Representatives. Washington: Government Printing Office, 2006.